Current studies in disciplinarity range widely across philosophical and literary contexts, producing heated debate and entrenched divergences. Yet, despite their manifest significance for us today seldom have those studies engaged with the Victorian origins of modern disciplinarity. Victorian Culture and the Origin of Disciplines adds a crucial missing link in that history by asking and answering a series of deceptively simple questions: how did Victorians define a discipline; what factors impinged upon that definition; and how did they respond to disciplinary understanding? Structured around sections on professionalization, university curriculums, society journals, literary genres and interdisciplinarity, Victorian Culture and the Origin of Disciplines addresses the tangled bank of disciplinarity in the arts, humanities, social sciences and natural sciences including musicology, dance, literature, and art history; classics, history, archaeology, and theology; anthropology, psychology; and biology, mathematics and physics. Chapters examine the generative forces driving disciplinary formation, and gauge its success or failure against social, cultural, political, and economic environmental pressures. 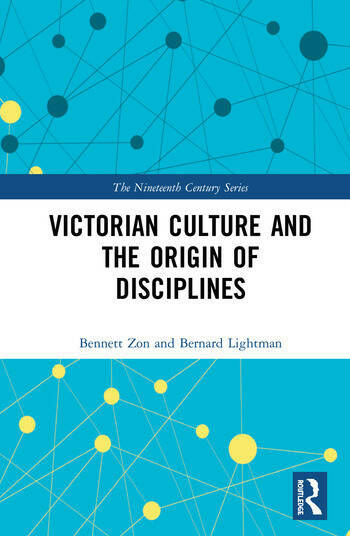 No other volume has focused specifically on the origin of Victorian disciplines in order to track the birth, death, and growth of the units into which knowledge was divided in this period, and no other volume has placed such a wide array of Victorian disciplines in their cultural context. Bennett Zon is Professor of Music at Durham University, where he is founding director of the Centre for Nineteenth-Century Studies. Zon is a founding co-director of the International Network for Music Theology; founding co-owner of Nineteenth-Century JISCmail; and founding general editor of Nineteenth-Century Music Review and the book series Music in Nineteenth-Century Britain. Zon received his DPhil in Music History from Oxford University. Recent publications include Evolution and Victorian Musical Culture and Evolution and Victorian Culture (co-edited with Bernard Lightman). Bernard Lightman is Distinguished Research Professor of Humanities at York University, Toronto. He is a Fellow of the Royal Society of Canada and is currently President of the History of Science Society. Lightman received his Ph.D. in the History of Ideas from Brandeis University. His research focuses on the cultural history of Victorian science. Among his most recent publications are the edited collections Global Spencerism, A Companion to the History of Science, and Science Museums in Transition (co-edited with Carin Berkowitz).